This large photograph by Nic Nicosia, titled Vacation, was installed in the Center for Creative Connections (C3) in early July. 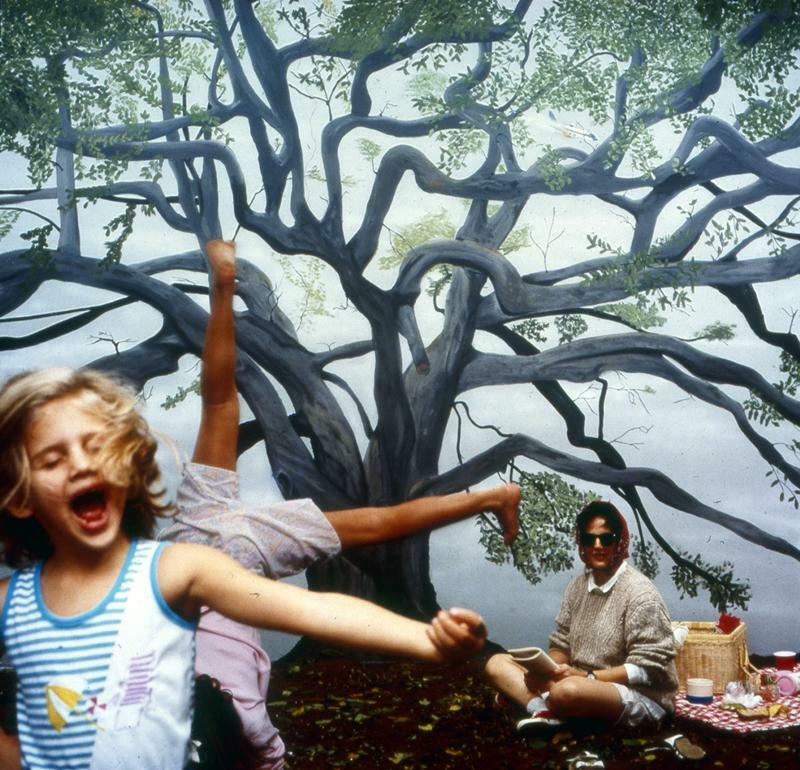 At first glance this appears to be a normal, everyday scene of a family picnic, but as you look closer it becomes apparent that there are some unusual aspects to this photograph. Is it a snapshot or is it staged? The children appear very natural, but the mother seems posed. The ground looks like real dirt and leaves, but the tree and sky are a painted backdrop. Then, between the branches you can see an airplane on fire and hurling to the ground. This is not your typical vacation. As the summer comes to a close, the Dallas Museum of Art education staff has taken some time to reflect on our own unusual vacation experiences. We hope you enjoy our snapshots.